"They call this the Badlands but this is where my memories live." 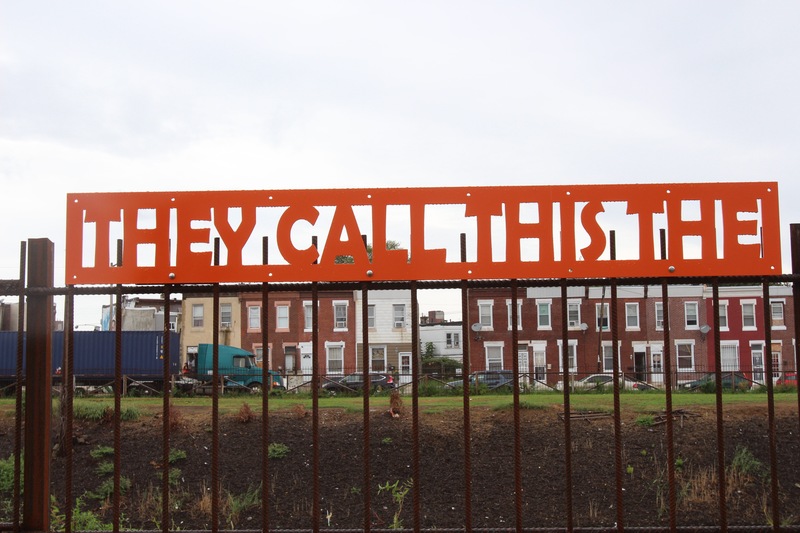 So states the bright orange metal structures along the trail which begins at B and Gurney Streets in the Fairhill neighborhood of Philadelphia. 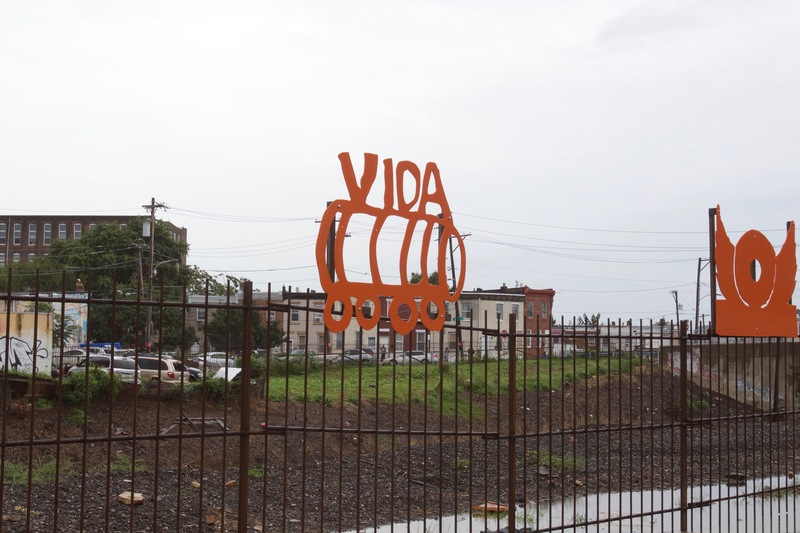 The art installation by Marta Sanchez, featuring lines of poetry from David Acosta, was officially unveiled on a rainy Saturday morning in early September. 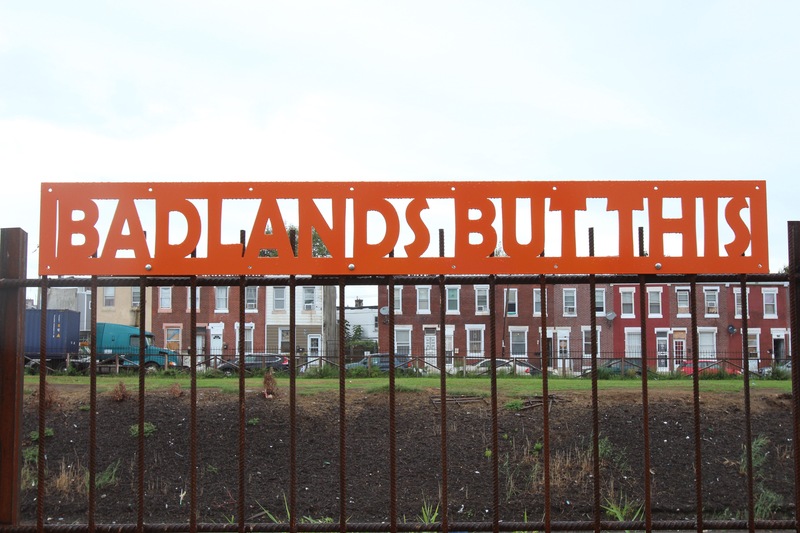 "This was my childhood home," said Acosta at the dedication ceremony on Sept. 8, noting that he's always been bothered by the fact that the neighborhood was referred to by some as "the Badlands." "For those of us who knew that this was our home, where our families lived, where our memories were, we wanted to push back on that," he said. 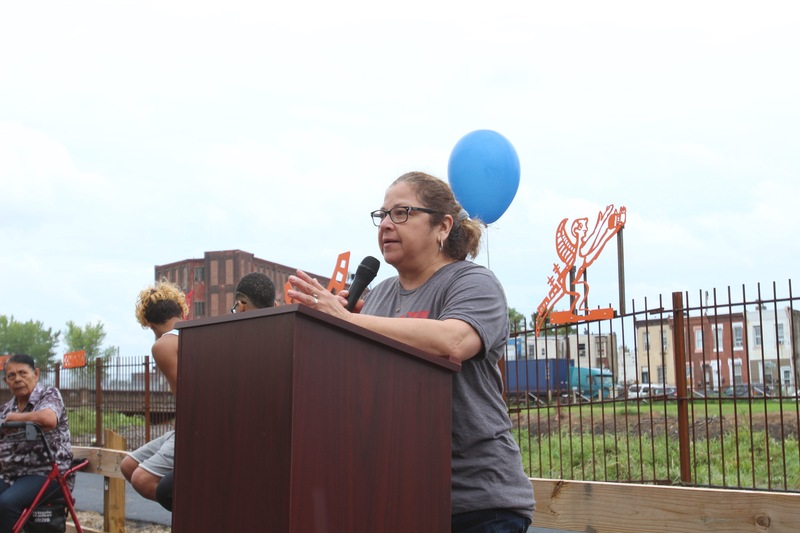 Community organizers, leaders, activists, and others who attended the dedication ceremony agreed that it marked a small but incredibly significant step forward in the community’s efforts to revitalize what was formerly the site of “El Campamento,” an encampment along the abandoned Conrail train tracks that was the nexus of Philadelphia’s opioid epidemic and one of the largest open-air drug markets on the East Coast. 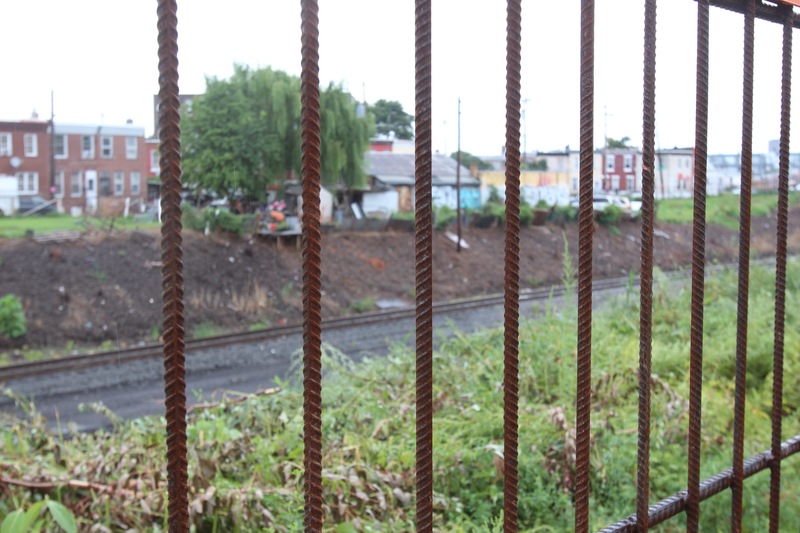 The site was shut down by the city and Conrail last year. 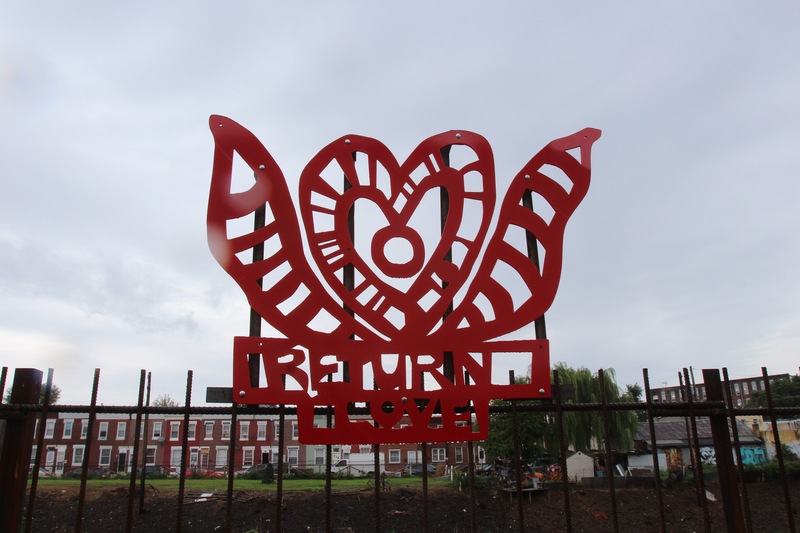 The message of the art installation and the purpose of the project as a whole is for community residents to "celebrate and reclaim" the community, said Maria Gonzalez, president of the community organization HACE. 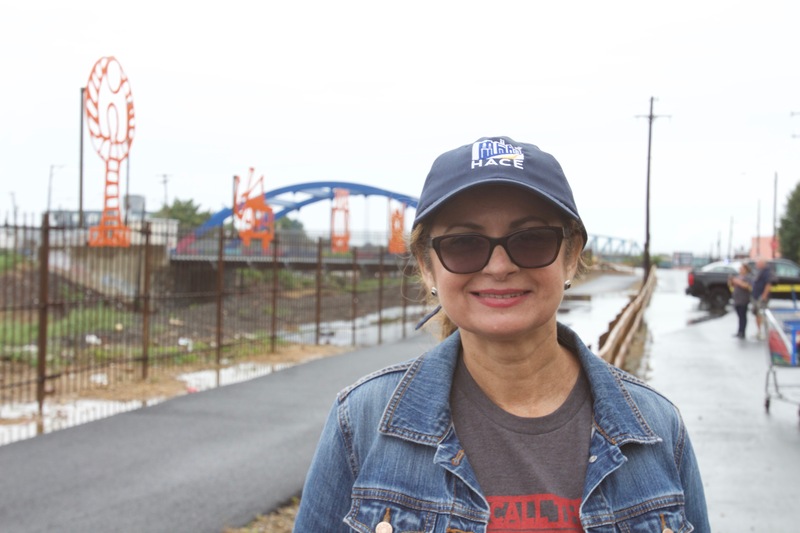 She, along with Councilwoman María Quiñones-Sánchez, spoke about the significance of the Gurney Trail and art installation at the dedication ceremony. 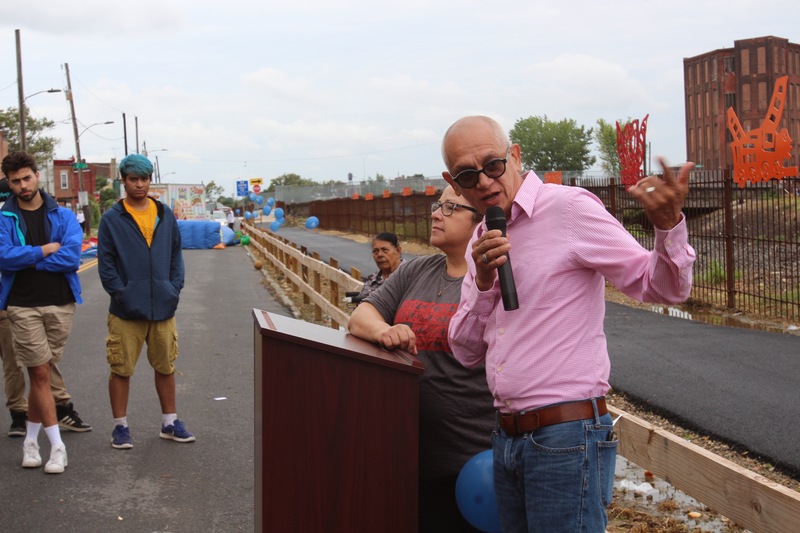 Gonzalez noted that addressing the issues related to the encampments on the Conrail line was part of a 10-year neighborhood plan that HACE created in 2015 in conjunction with community residents and stakeholders. “Our aim was to develop a walking track or biking track where the families can come and enjoy, and by activating it and using it there’s less likely to be short-dumping, or people breaking down the fences so that they can get back down to the embankment,” she said. 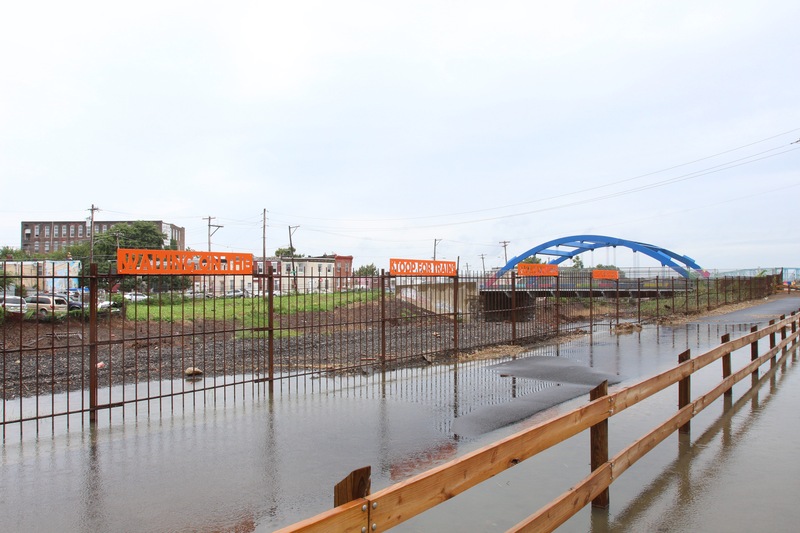 Cleanup of the area began after the encampment was closed, and the installation and creation of the trail project began in May, funded through Conrail’s Neighborhood Partnership Program, the Wells Fargo Regional Foundation, HACE, and city investment. “Every step is a positive step, and sometimes we take a couple steps back, to be able to move forward. 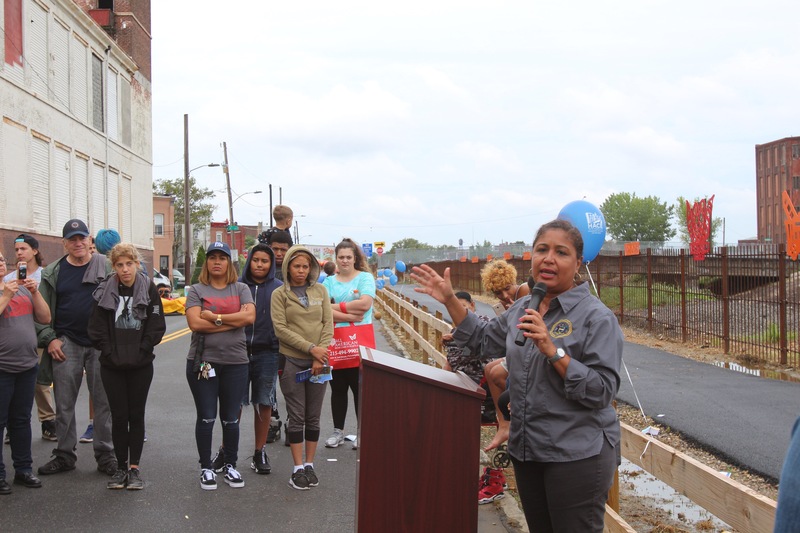 This is a work in progress,” said Quiñones-Sánchez, who assured the crowd in Spanish that she believes in the neighborhood, and that despite the challenges they face they deserve access to the best resources available. Gonzalez said that HACE plans to continue to work with partners to ultimately expand the pathway to North American Street. 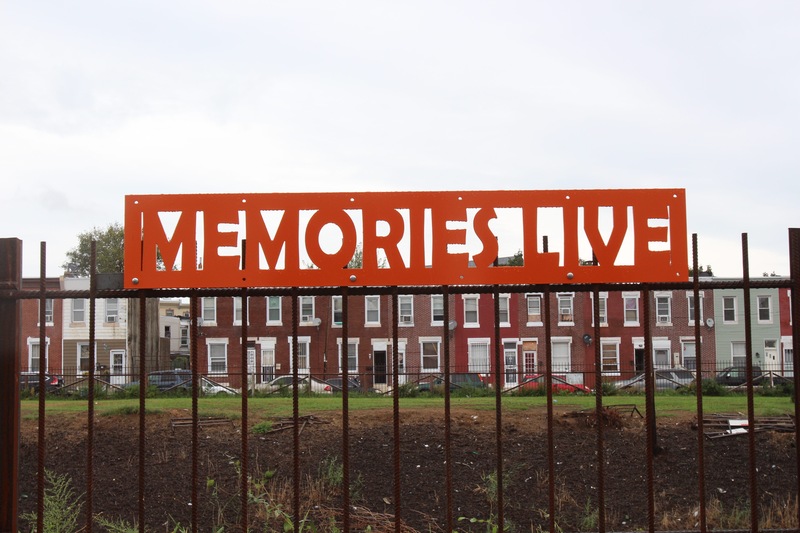 The installation will also incorporate additional pieces based on poetry from youth and seniors in the community who participated in workshops that Acosta facilitated. 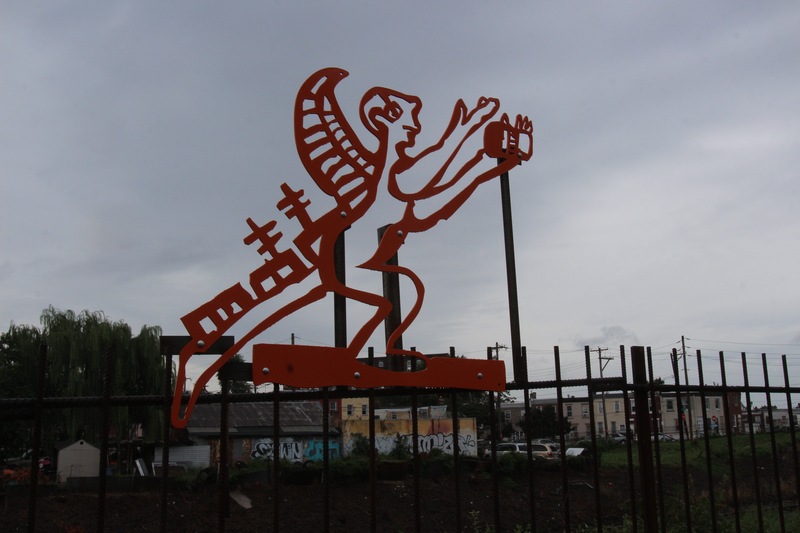 The artist Marta Sanchez was chosen for her cultural connection to the neighborhood as a Latina artist, as well as her well-known pieces centered on trains and train tracks, a theme that is prominent in her work since she herself grew up next to a train yard in San Antonio, Texas. 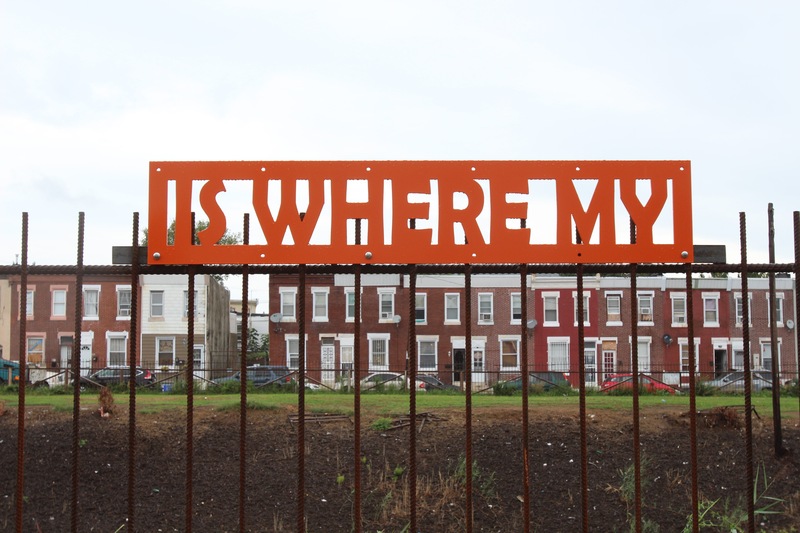 Sanchez, who has lived in Philadelphia for over 20 years, has had her work exhibited at the Philadelphia Museum of Art, the Chicago Museum, and more. At the dedication ceremony, she said that in addition to celebrating the community’s identity and culture, she also wanted to “honor those that were here at one time and maybe are no longer here because of the epidemic that is attacking our society,” referring to those who once lived in the encampment. Morales, a nurse, started working directly with those suffering from opioid addiction at the encampment, along with advocating for change at the city government level. She added that though she is happy the nonprofit, private, and public sectors were able to bring about the completion of the project, she felt that the contributions of activists such as herself should also be recognized for their role in transforming the area. 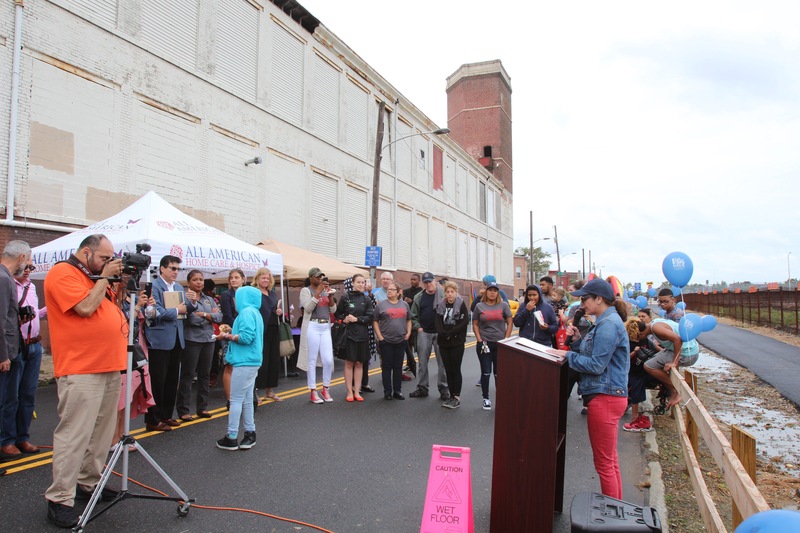 “At least the city and the people are already listening up, paying attention, speaking up, and doing what they have to do as Philadelphians,” she said.